This cake is rich but light, moist and absolutely delicious. I’ve been doing this whipped cream for a while but this was the first time I used it in a cake (not sure why) and the results was fabulous. This cake is going to win you over. Combine wet and dried ingredients. Pour the mixture into a greased 9 inches round baking tray and bake it at 180C for 25 minutes. Repeat the process and bake a second cake. Leave the cans in the fridge over night or for two hour in the freezer. Chill the bowl and whisk of a stand mixer in the freezer for 10 minutes. Transfer only the solidified part of the coconut milk to the chilled bowl. Add the icing sugar and whip for about 5 minutes or until the mixture begin to stiffen. Wait for the cakes to cool before you remove it from the baking tray. 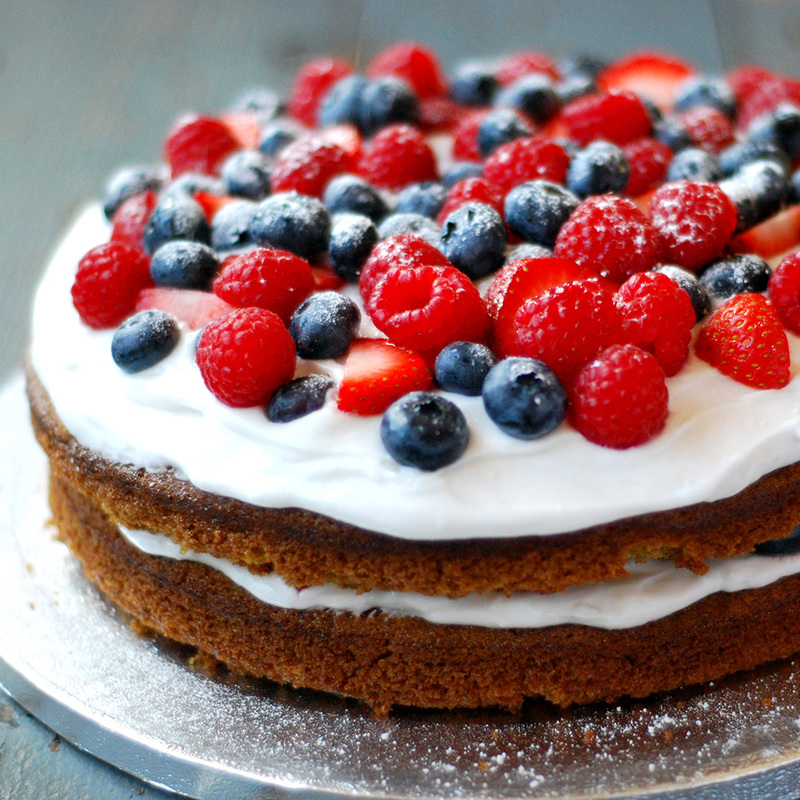 Spread half of the whipped cream on the top of the first cake and half of the fruits on top of it. Place the second cake on top and repeat the whipped cream, fruit process. Dust the cake with icing sugar and take it to the fridge for 30 minutes before serving.